Once you get into the swing of commuting, you find yourself noticing a little bit more than you did previously. This makes it perfect for people-watching. And I’ve had plenty of time to observe everyone around me over the past few months. On my twice-daily train journeys in and out of London, I’ve noticed first and foremost that the world really is a diverse place, which is wonderful. But I’ve also noticed that there are a few stereotypes mixed in with it all. You get on the train. You get the window seat. You put the middle armrest down and put your arm on it so you can read the paper. And when the person sitting next to you comes along, they decide they want the middle armrest as well. But you don’t know this. At least you don’t until they start using their elbow to budge yours out of the way. They think they’re being subtle, but you know their game. You brace your arm and refuse to let them knock your elbow out of the way, so they push harder. You push back harder in return. If you’re lucky, they’ll move to a different seat. If you’re unlucky, you’ll have to continue bracing your arm and you’ll end up with one bicep bigger than the other. Occasionally pupils from the local schools will get the early train and stare, bleary-eyed, at all the equally bleary-eyed commuters. Is that it? they wonder miserably, Is this what growing up means? Where did you get your coat? And your boots? And your dress? Is that lipstick by Charlotte Tilbury? It looks lush. How do you put your outfits together? I wanna know, but will never ask because it’s too early and I hate talking to strangers. On their way home after a day in the city, they often come in pairs and (unlike everyone else) are happy to talk. Loudly. We’re not particularly known for our friendliness to strangers down south, but nonetheless the day trippers will be affronted at Londoners’ indifference to anyone they cross paths with on the street/at the ticket barriers/in the queue at Pret. He (it’s always a he for some reason, even though there are plenty of women working in business) will have got his laptop out, he’ll have dark circles under his eyes, and he’ll be sighing with exasperation as he talks on his phone. On Friday he’ll smell faintly of wine, poured from a mini bottle into a plastic cup, which he’ll keep as far away from all his tech as possible. The exhausted businessman will either make you feel stressed, or you’ll be unbelievably relieved that you are not him. 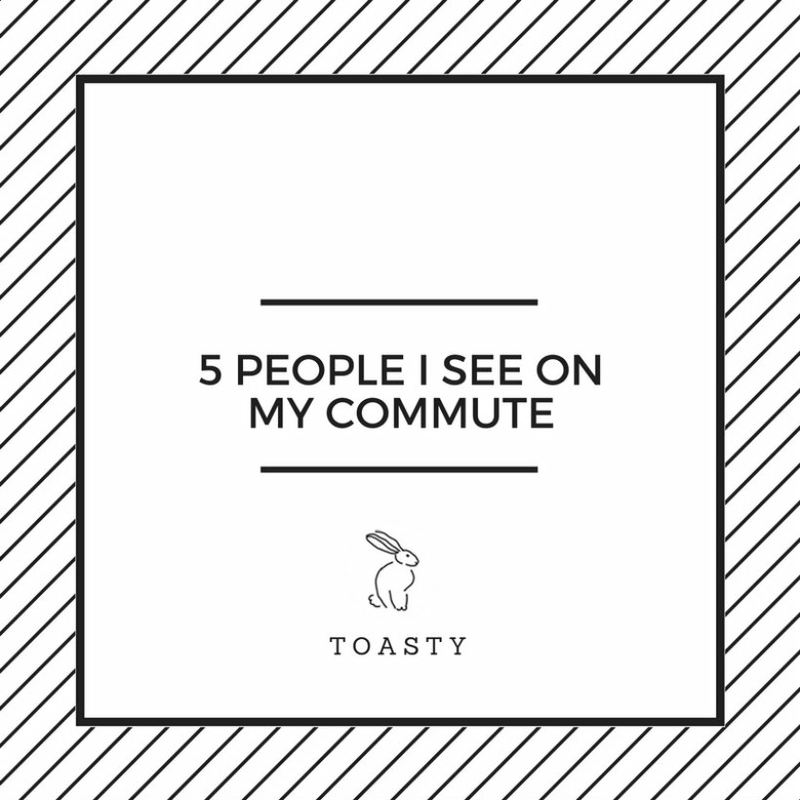 Who do you see on your commute? Have you had experience with any of the people in this post? Let me know in the comments!